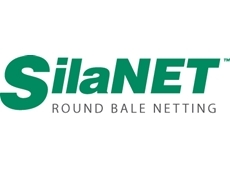 SilaNET, for improved crop security and faultless round bales SilaNET is the solution, with exceptional performance and strong reliability. 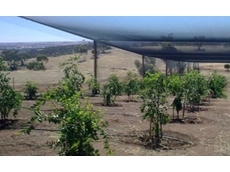 Barrier nets Australia provides chemical free crop covers designed to protect your crops against insects and bad weather. 1Aquaponics provide Aquaculture Consultancy Services and supplies including Filters, Fingerlings , Fish Cages, Fish Feeds, Nets, Nutrients, Plumbing, UV Sterilization Equipment, Plants, Water Quality Meters and other Aquaculture equipment. Shade Cloth Plus supplies a range of shade cloths, mesh and netting including fence mesh, scaffold mesh, windbreakers, bird and hail netting, weed mats, black poly net, tarps and a range of accessories. 16/08/11 - Get Trapped presents the Animal Capture Net Launcher, a humane alternative of capturing animals with no fire arm licence required. 24/03/11 - The netting had stretched, which is to be expected, but a simple re-tensioning of the netting structure is all that was needed. 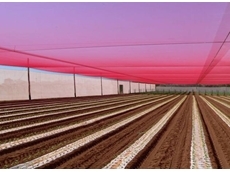 24/03/11 - Southwest Crop Protection specialise in designing and building permanent netting structures in Western Australia used to protect a variety of crops. 28/07/08 - SMK Agriculture offers a wide variety of vineyard equipment. Vineyard equipment from SMK Agriculture include vine netting machines and sprayers. 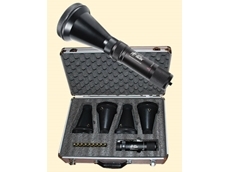 SMK Agriculture offers the Nette Mk and Hardi brands of vineyard products. 23/07/08 - Otco offers a wide range of marine products such as boat shade covers, net lockers, lifeline and stowage net, lifeline netting and bird nets. 22/07/08 - Otco offers panorama hammocks which are handcrafted with innovative fibre technology. 21/07/08 - Otco specialises in manufacturing a wide range of agricultural nets, hammocks and marine products. 17/07/08 - Crendon Machinery provides OliNet, a harvesting aid for collecting olives, pistachio nuts and other seeds. The OliNet features a folding arm that can automatically turn into a sealing system. It can also be funnelled into storage tubs. 15/07/08 - Crendon Machinery designs and manufacturers high quality equipment including slim auto tension and many more suitable for horticultural and viticulture applications.